From puppy-proofing your house to choosing the right breed for you, what do you need to think about before taking the plunge and bringing a dog into your home? 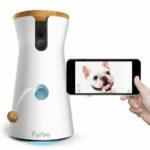 #1: Can You Puppy-Proof Your House? 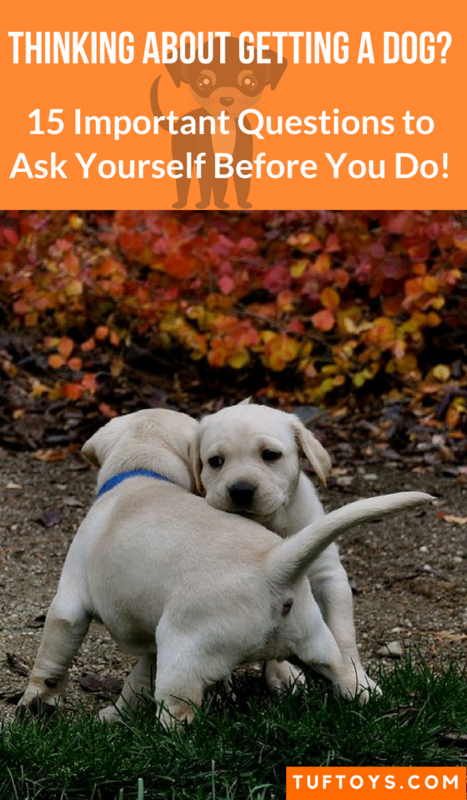 #2: Are You Prepared To Spend Time Socializing Your Puppy From a Very Early Age? #3: Are You Prepared To House-train Your Puppy? #4: Will The Puppy Be Alone for a Long Time? #5: Can You Afford the Series of Vaccinations That Young Puppies Need as well as the Cost of Spaying/Neutering? #6: Are You Prepared to Jump Up From Doing Something to Take Your Puppy Outside or Rescue an Object That it Has Taken? 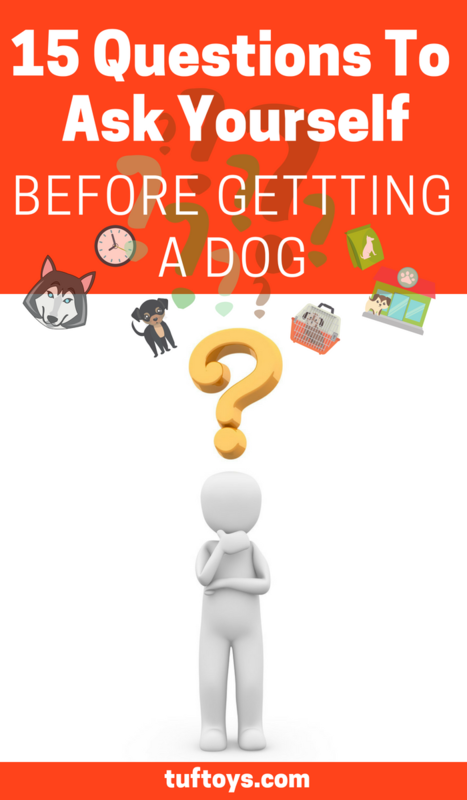 #7: Where Should You Get the Dog? 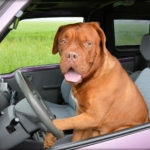 #8: Where Should You Not Get a Dog From? #9: Mixed Breed/Rescued Dog or Purebred? #11: What Breed Should You Get? #13: Are You Aware of Any Health Problems That are Prominent in the Breed? #14: Are You Aware of Any Behavioral Problems that Some Members of the Breed Are Prone to and Are You Willing to Spend Time Addressing These Problems? #15: Can You Spend Time, Money, and Effort Training and Caring for Your Dog? 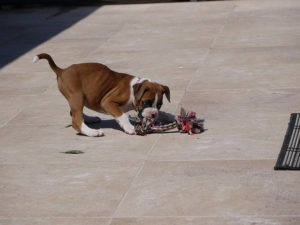 Puppies love to chew, and cannot be left alone loose in the house for any length of time. They will also swallow small objects, steal shoes and children’s toys, chew up books and cardboard, and find numerous other things to do if left unsupervised with nothing to do. 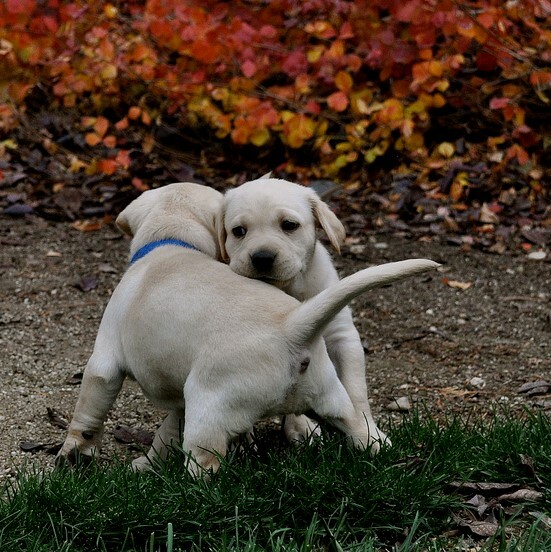 Puppies should begin to be socialized as soon as you bring them home. They can not go out in public places before they’ve had their second set of shots because of the risk of infection, but that doesn’t mean you can’t get friends and family to come and visit so the puppy is used to it. When they have had their shots, they will need to be taken out a lot to get used to dogs, people on the street, cars, loud noises, busy roads, etc. Right after they’ve had their second set of shots is the ideal time to start training classes or puppy kindergarten. If not socialized from an early age, different problems can and will result depending on the breed. For example, if a dog like a Rottweiler is not socialized, it is likely to become aggressive. If your puppy has a bad experience, fear aggression may result. All puppies need to be house-trained, and it usually takes a few months. For the first 2 to 4 months, this means taking your puppy out every 15 – 30 minutes when it is playing or out of its crate and every 2 to 3 hours when it’s in its crate. It also means getting up during the night unless you go to bed really late and get up really early. If you are going to be out for most of the day, a puppy is probably not ideal for you. If your puppy is alone in a crate for over 5 hours every day or most days, you could have house training or behavioral problems such as fur chewing and separation anxiety and you will find yourself having trouble crate training your puppy. Young puppies need lots of interaction with people to grow up to be healthy happy dogs. Above all, is it fair to lock a puppy up for a long time while you are out? The series of shots that puppies get when they are young is essential to their health. Failure to have your puppy vaccinated or taking it in public places before the age of 16 weeks can result in illness and perhaps even death from the serious diseases such as parvo. Puppies also should be spayed/neutered between the age of 6 months and a year in order to prevent unwanted litters and the overpopulation of dogs. When you get most older dogs, especially from a rescue society or humane society, the animal has already been spayed or neutered. If you can’t afford the cost of spaying or neutering a dog, don’t get one! If your puppy is out of its crate, be prepared to have to get up frequently to take it outside and to take away objects such as shoes or books that it might have stolen. Puppies will always be up to something, so be ready to keep a constant watch over them. Dogs from breeders and from shelter/rescue organizations can be equally as good. When buying from a breeder you know the dog’s background and should get to meet at least one parent. When adopting from a shelter or rescue organization, you probably won’t know the dog’s complete background, but if you get an adult, you’ll at least know their size and their ability to be a working or family pet. 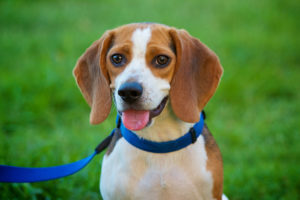 Mixed breeds also tend to have fewer health problems than purebreds from breeders. Never ever get a dog from a pet store unless it’s a store that keeps several dogs for a Humane Society until they find homes. If the dogs don’t come from the Humane Society, they come from puppy mills, evil places that are operated by evil people who continuously breed dogs in terrible conditions without a second thought to the temperament and health of the dogs. When you buy from a pet store that sells puppy mill puppies/dogs, you are supporting extreme animal cruelty. Don’t buy from people that are backyard breeders. These are people who don’t breed properly, they do it for a bit of extra money. These usually aren’t registered and breed as a “side job”. Also, never buy from people that breed crosses: e.g. Cockapoos, Lhasa-poos, Shih-poos, etc. These are unethical breeders and should never be supported!! Despite contrary belief, not all dogs that are up for adoption are ‘problem’ dogs. The only reason they are in the shelter or rescue society is because of problem owners. Lots of dogs end up in the pound because of irresponsible and ignorant people who get ‘cute little puppies’ without realizing all the time and effort that have to go into training a dog. I firmly believe that if you train and socialize your dog very well from an early age and do everything you know what to do, then your dog will not have any behavioral problems such as barking, biting, chewing, digging, etc. If you are not experienced with dogs or are getting your first dog, I strongly recommend professional help such as training classes to prevent unwanted behavior. If your dog does develop a behavioral problem, contact a certified animal behaviorist for help. Rescue dogs can make excellent family pets, no matter what age they are. We got Leo when he was 2 years old and he fitted into the family right away. And remember, not all dogs up for adoption are adults, there are usually quite a few between 6 months and a year. Although rescue dogs might have behavioral problems as a result of improper training or no training at all, if you work hard, you will find a great friend in your rescue dog. And think about it, when you adopt a dog from a shelter or rescue organization you are usually saving that dog’s life! Pure-breds from breeders, although usually more reliable since you know their background, are not completely risk-free of health or behavior problems. Not all breeders are good – do your research thoroughly before deciding to get a dog from a certain breeder and visit several different breeders before choosing one to purchase a dog from. If you are looking for a good dog, be prepared to travel for several hours to look at breeders. Please remember that just because a breeder is listed in a magazine doesn’t mean it’s good. Also, remember that there are some really good breeders that aren’t listed in magazines. 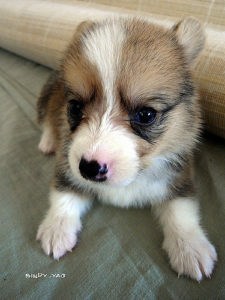 Don’t just go out and get the first cute puppy from the first breeder you look at. And don’t be pressured into purchasing a puppy with threats like “He won’t be here much longer, lots of people are looking at buying him. You have to make your decision today.” If you really want a healthy and happy puppy from a good breeder, be prepared to wait. Never buy a dog from a puppy mill, pet store (unless the store is working with a humane society), or backyard breeder. Be especially aware of the quality of the breeders you are thinking of buying from if you are looking at a popular breed of dog. When dogs become very popular, the amount of backyard breeders “breeding” those dogs escalates. These people are breeding for quantity, not quality. For example, the original American Cocker Spaniel was a great dog, but when the increased in popularity they started being over bred, which caused health and behavioral problems to become more prominent. However, you can still get a popular breed such as the American Cocker that is a great dog, but only if you get it from a responsible breeder. You’ve probably heard people saying that getting a purebred will “open up a whole new world” for you because you can compete with it in many different events. These people often also say that you can’t compete with mixed breeds so you have to get a purebred with “papers” if you want to compete. Don’t believe that: it’s not true! While they can’t compete under the Canadian Kennel Club (CKC) or the American Kennel Club (AKC), mixed breeds are welcome in many events such as obedience, agility, flyball, frisbee, and tracking under a different organization. The North American Mixed Breed Registry (NAMBR) and American Mixed Breed Obedience Registry (AMBOR) are a few of the organizations that hold obedience trials and have titles at all levels (novice, open, and utility). NAMBR also has tracking, herding, field training, carting/draft work, go to ground/versatility, and lure coursing. 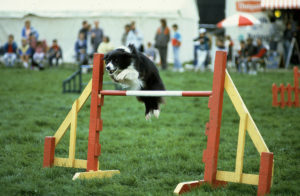 The United States Dog Agility Association (USDAA), the United Kennel Club (UKC), the North American Dog Agility Council (NADAC), and the Agility Association of Canada (AAC) all offer trials and titles to both mixed breeds and purebreds. The Mixed Breed Dog Clubs of America (MBDCA) offers obedience and conformation. As for flyball and frisbee, I’ve never heard of an organization that doesn’t allow mixed breeds to compete. So the truth is, you can compete and earn titles with your mixed breed or non-registered dog in every event that exists for pure breeds. I was recently talking to someone who was thinking of buying a dog. When I asked what she was looking for, she said “Something with brains.” That’s a problem, people think that just because they own a breed that is smart, it will be a great dog. Some dogs are smarter and perhaps easier to train than others, it’s not the breed that really counts, it’s how you train the dog. While a certain amount depends on the dog’s intelligence, the majority of the dog’s future behavior depends on you as an owner and trainer. A major factor in deciding what breed is best suited for you depends on what the breed’s purpose is. For example, if you are getting a Border Collie or Australian Shepherd, remember that they were bred to run all day and herd flocks. This means that they will need lots of exercise and that they still will have quite a strong herding instinct and will try to herd other pets, kids, etc. They possibly might nip more than an average puppy because that’s how they controlled their flocks. The strength of the instinct depends on the individual dog and the lines, but you can train most of the herding instinct out of them. Another example would be certain types of terriers (Jack Russel Terriers for example). They were bred to dig, so you might have some training in that area too! When choosing a dog, always remember what it was bred for, because this affects what types of things you can do with the dog and what training you’ll have to do. While some people breed official miniature versions of some breeds (such as Australian Shepherds, Poodles, and Schnauzers), there are others trying to breed certain breeds to be smaller (e.g. Shetland Sheepdog) and then pass them off as unique breeds so they can make extra money. Often these “breeders” don’t know what they are doing and the dogs don’t turn out to be the miniatures they were supposed to be. Do not buy from a breeder that says that the breed has no health problems. While some breeds may be more prone to certain diseases or inflictions than others, they are no breeds that are completely free from health problems. 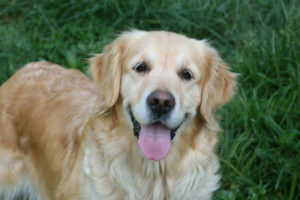 For example, Golden Retrievers are prone to hip dysplasia, Pugs to breathing problems, etc. A good breeder will have clean lines and will not have been breeding the dogs that have the problems, but will admit that there is always a risk, and the breeder should have a health guarantee on all puppies/dogs sold. For example, Shetland Sheepdogs are well known for barking a lot, terriers for digging, Pit Bulls for aggression. But, with proper training, these problems can be solved or prevented. If you do get a dog that is known for a certain behavioral trait, be prepared to set aside time to overcome any unwanted behavior. 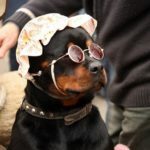 Almost all breeds have a certain behavioral trait that some members of the breed may be prone to, but I am in no way saying that you should not get a certain breed because of a problem, just that you have to be willing to spend time addressing that problem. If you are going to get a dog, be prepared to spend money on vet bills, training classes, and equipment (see below). Regular visits to the veterinarian for check-ups and vaccinations are necessary for your dog’s health and happiness. If you are getting a dog, be willing to pay for any extra vet costs that might occur when your dog reaches old age, do not get a dog if you are going to dump it when it is old and needs you most. And if you want a dog that is well trained and that you are able to take everywhere with you, I strongly recommend the training classes that focus on positive reinforcement. Don’t get a dog “for the kids” even if they promise to take care of it. With most children, the novelty of a new dog wears off quickly and you’ll have to take care of it and play with it yourself. Also, don’t expect young children to be able to take care of a dog. Don’t get a dog for someone as a gift – let them make the decision of when they are ready to make the life-long commitment of owning a dog and let them choose their own. Also, don’t get your children a dog for Christmas or their birthday, the novelty will soon wear off and the responsibility will be yours (it should have been from the start actually). Do not buy a dog if you are going to leave it alone while you go out to work during the day and then leave it alone in the evenings when you go out again or take your kids out. This is not fair to the dog(s) and will lead to problems! Most importantly, be kind to your dog!